The Environmental Protection Agency on Thursday took the wraps off its plan to throttle back requirements for auto fuel efficiency. Nationally, the proposal essentially freezes automakers' average fleet efficiency requirements, known as CAFE standards, at the 35 miles-per-gallon level planned for 2020, More stringent standards that were set to go into effect for 2021 to 2026 model years would be shelved, in what EPA calls "a much-needed time-out." 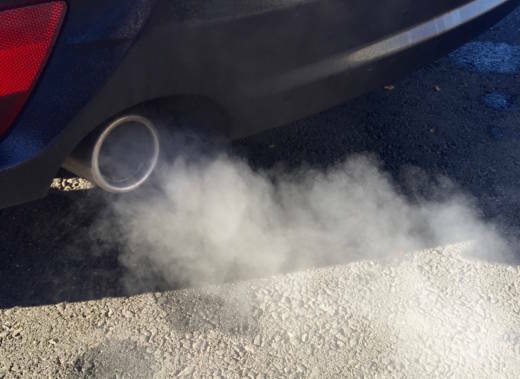 But the move is also seen as a challenge to the longstanding waiver California was granted under the Clean Air Act, allowing the state to set its own auto emissions standards. Twelve other states have followed California's lead and in May, 17 states and the District of Columbia sued the EPA to halt the rollback. Thursday's EPA action is not the "frontal assault" that some were expecting, but it does put that waiver up for review. In a statement, Governor Jerry Brown called the proposal "a betrayal and an assault on the health of Americans everywhere." The governor says it would mean consumers "pay more at the pump, get worse gas mileage and breathe dirtier air." "California will fight this stupidity in every conceivable way possible," he vowed. Even former California Governor Arnold Schwarzenegger weighed in, calling the move "stupid policy," and eagerly picking up the gauntlet thrown down by the administration. "I hope some conservatives with a conscience will act in Washington to defend California’s waiver based on these historic Republican values," he wrote in a statement. "But if not, I’d remind them that California has won this battle before. We will win again." The state has already successfully sued to retain its automotive autonomy, when it was threatened under the George W. Bush administration. "The state of California is not looking to pick a fight with the Trump administration," state attorney general Xavier Becerra told reporters in early May, "But we are ready for one -- especially when the stakes are so high for the health of our families, our economy, and our planet." California's higher standards have been a keystone in the state's strategy to clear the air of both toxic emissions and greenhouse gases. Transportation is California's largest single contributor to global warming, accounting for about 40 percent of greenhouse gas emissions as of 2016. 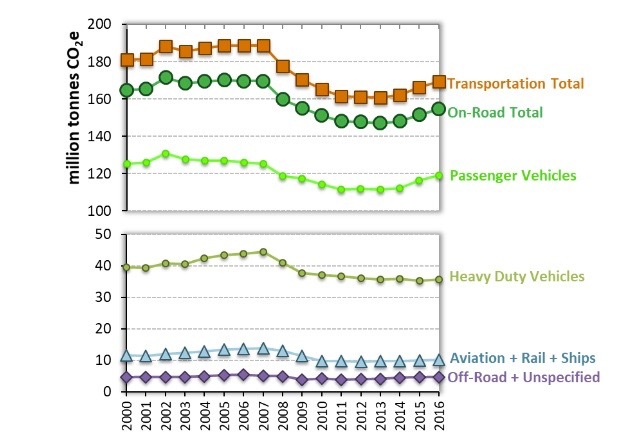 After bottoming out around 2012, those emissions have begun rising again, despite the state's efforts to get more alternative-fuel vehicles on the road. The EPA says the move is "to correct the national automobile fuel economy and greenhouse gas emissions standards to give the American people greater access to safer, more affordable vehicles that are cleaner for the environment." The administration also asserts that under the 1975 law that first established the system, only the federal government has the authority to set fuel efficiency standards. Leaning heavily on its safety argument, the administration has dubbed its proposal the SAFE rule, an acronym for Safer Affordable Fuel-Efficient (SAFE) Vehicles, claiming the change would save 1,000 lives per year, a contention that independent experts have questioned. The long-threatened EPA rollback was begun under Scott Pruitt, the agency's first administrator appointed by President Donald Trump. Pruitt, who asserted that California should not be allowed to "dictate" standards to the rest of the nation, later resigned under pressure, replaced by his deputy, Andrew Wheeler. California air regulators, who began negotiations with Pruitt and have continued them under Wheeler, say they see no apparent intent to back off of the anti-regulatory agenda of the Trump administration. But Wheeler seemed at least mildly conciliatory when talking with reporters last week. "We certainly want to work with the state of California," he said, "to make sure they're comfortable with the direction the government wants to go." The EPA action, which is one step in a lengthy process, opens up a 60-day public comment period, leading to a final rule, possibly by the end of the year.